Credit and debit cards come in plenty colours and each has a special feature attached to it. Right from the basic cards to the premium cards that charge a hefty annual fee. Credit and debit cards come in plenty colours and each has a special feature attached to it. Right from the basic cards to the premium cards that charge a hefty annual fee. 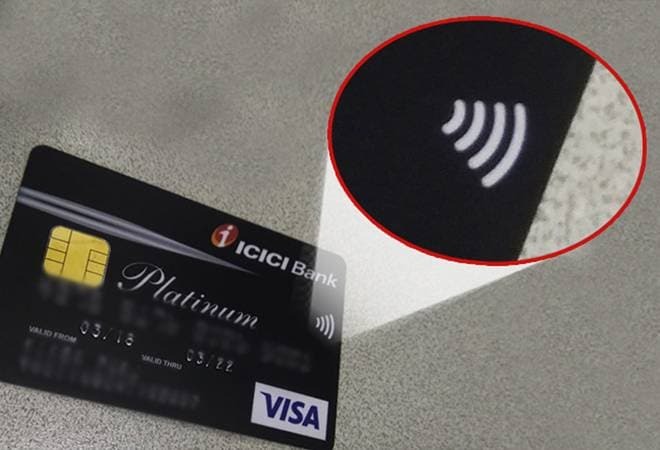 However, there is a new symbol that can be found on credit and debit cards these days which looks like the symbol that denotes WiFi, just in the horizontal position. If you have this symbol on your card, it means your credit or debit card has the contactless feature and can be tapped to pay. Contactless cards don't necessarily need to be swiped to make a transaction. These cards come with Near Field Communication (NFC) chip that allows short-range data transfer without the need to touch the point of sale (PoS) device. As per Visa's official website, "Contactless payments use short-range wireless technology to make secure payments between a contactless card or payment-enabled device and a contactless-enabled checkout terminal. When you tap your card on a PoS machine with contactless symbol, your payment is sent for authorization." Visa claims a contactless card works when it is within 4cm of the PoS and that the contactless payment terminal can only process one transaction at a time. This payment technology is growing in developed countries. According to a report by Independent, one in every four card payments has been done using a tap to pay card. Visa claims, apart from US, over half of retailers in countries like Australia, Canada, UK and France accept contactless cards. In India, the trend has been catching up and many supermarkets have started using PoS machines with the tap to pay symbol. While most banking facilities promote it as safe, instances of theft have been reported. In 2016, an image went viral on the internet where a man was holding a PoS in a crowded train. Major banking brands claim that the method is secure as the card needs to be very close to the payment machine. However, in a crowded train that won't be a problem for a digital pickpocket. However, it is highly unlikely that a KYC compliant merchant will use his/her PoS terminal to conduct a fraudulent transaction. Since it can be traced easily. RBI has also put a limit of Rs 2,000 for doing transaction using contactless card without entering a PIN. Above that, the consumer needs to enter the credit/debit card PIN. The technology is relatively new in India and there haven't been major reports of theft so far. The real-time benefits of this tech, however, can be immensly beneficial in sorting long ques at billing kiosks.